With the launch of CraftJam Academy, we are starting off with the Beginner Knitting Workshop series. 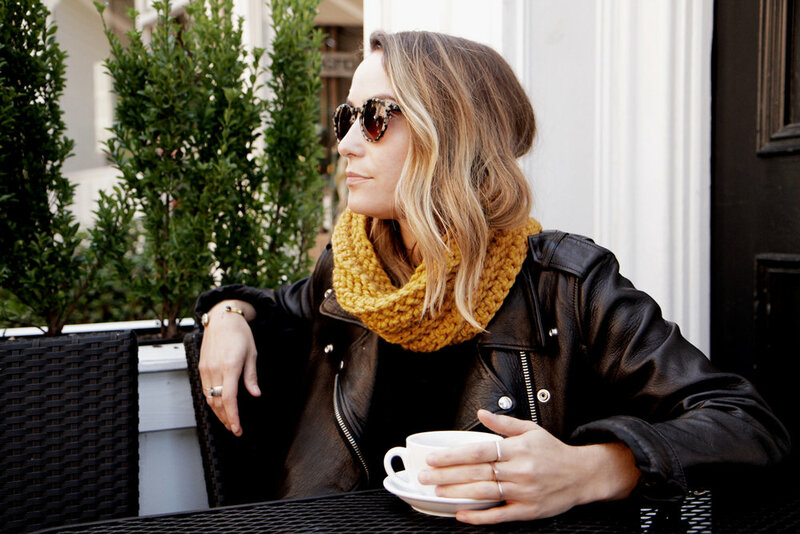 In three sessions knitwear designer Alexi Tavel will introduce you to the basics of knitting and guide you through your first knitting project, a knitted scarf or cowl. Through in-class demonstrations and weekly home assignments, you’ll learn the basics of knitting giving you the ability to follow thousands of existing patterns and maybe even design some of your own. Students will learn the foundations of knitting – casting on, knitting, purling, simple stitch patterns, binding off and seaming – and will learn how to apply these skills to a variety of garments and accessories. Students are able to complete endless projects on their own after taking this class. This class is beginner-friendly; no experience necessary! We will have all the supplies and materials ready for you, including yarn and knitting needles. Also, we are BYOB friendly, so bring a drink of your choice. Alexi Tavel is a talented knitwear designer with a modern approach to a timeless art form. Her company Two of Wands is known for its trendy knitwear pieces that you can either purchase ready made or as a pattern to make yourself. She has also collaborated with big brands such as Lion Brand and DMC.